FCI (Food Corporation of India) which released 4103 Vacancies for various posts such as Junior Engineer (JE) (Civil Engineering / Electrical Mechanical Engineering), Assistant Grade-II (AG-II) (Hindi), Steno Grade-II, Typist (Hindi) and Assistant Grade-III (AG III) (General / Accounts / Technical / Depot), will have the Online Prelims Examination in the month of May 2019. All the posts in FCI will have one common Preliminary Examination and will have different Mains Exam and Skill Test & Document Verification Process. The days are getting closer and aspirants will be in search of Online Quality Mock Test Series for the FCI (Food Corporation of India) – 4103 vacancies and we have got you covered here. Based on the recent examination trends and based on the previous year question paper sets, our Expert R&D Team has prepared 5 Top Notch Online Mock Test Series for the FCI Recruitment 2019 for the competition will be sky high and the zones are different. Changing Examination trends have made it more complex and since the number of aspirants who are appearing for these exams has skyrocketed to a different number, this has become one of the prominent exams in this year. Along with these 15+ exams are also being conducted which needs constant preparation and heavy practice to crack. The Exam pattern follows the same exam pattern as that of the bank exams which makes it easy for the aspirants to grab the much-needed marks to crack the FCI Prelims Exam 2019. Our R&D Department of Race Institute has prepared the Best Mock Test for the FCI prelims Exam 2019 and we hope this will be of immense help to the aspirants. 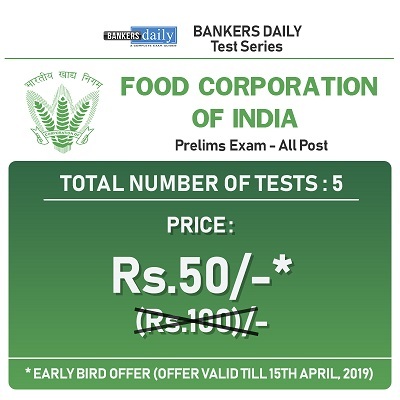 We have provided the FCI – Online Prelims Mock Test Series in an Offer Price for the aspirants and this offer is an EARLY BIRD OFFER which is valid till 15th April 2019. 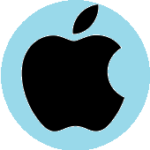 Follows the Same Exam Pattern as that of FCI. We are proud to say that the questions you will prepare in this Online Mock Test Series are having the high chance of appearing in the CWC Junior Superintendent Exam 2019 as well.